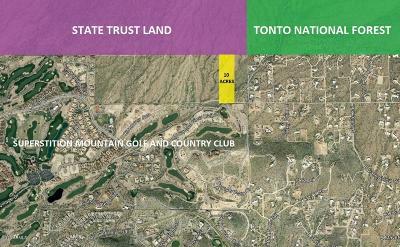 Outstanding pre-construction opportunity to purchase/build a well designed custom home nestled in a dramatic and scenic 10 ACRE setting! 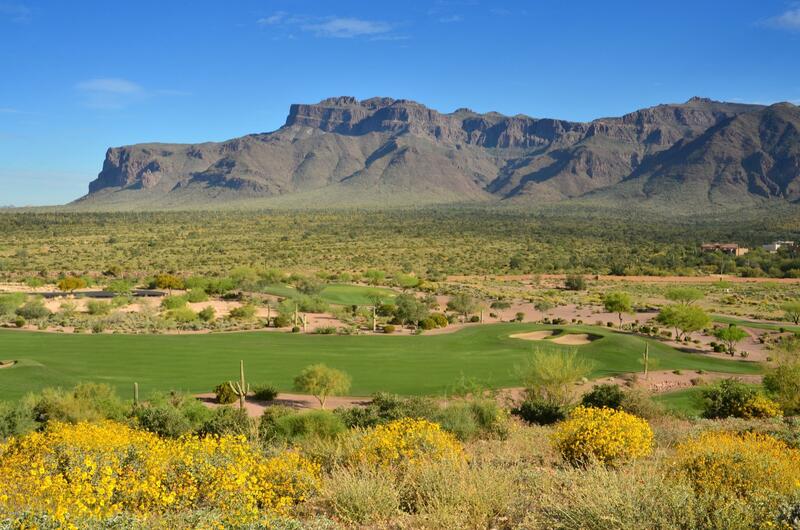 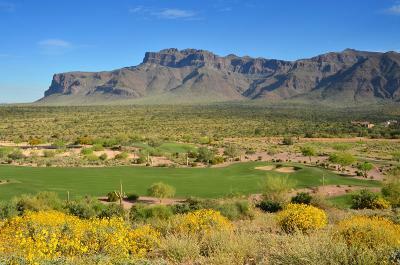 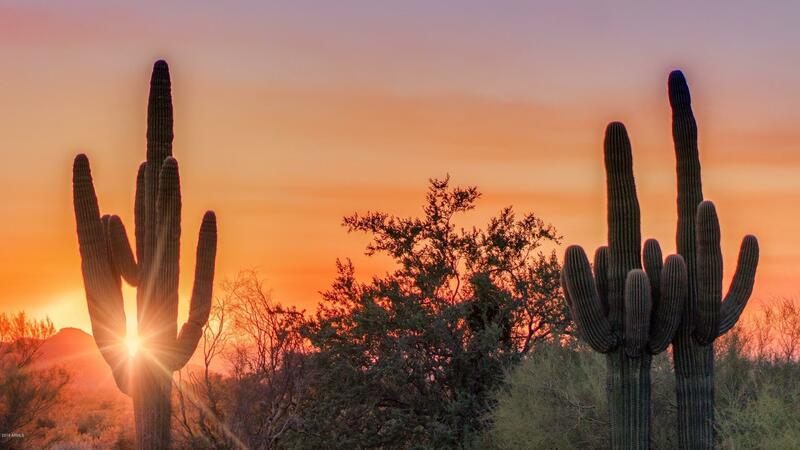 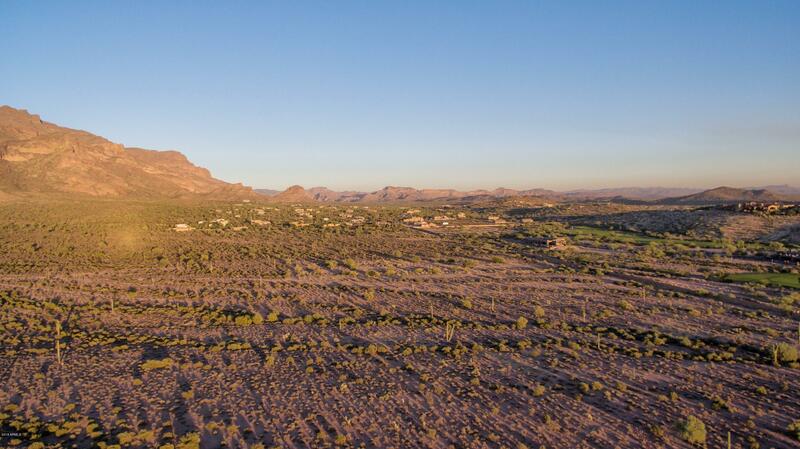 Ideal location bordering the guard gated Superstition Mountain Golf and Country Club community and situated at the base of the legendary, world famous Superstition Mountains with BREATHTAKING VIEWS in every direction. 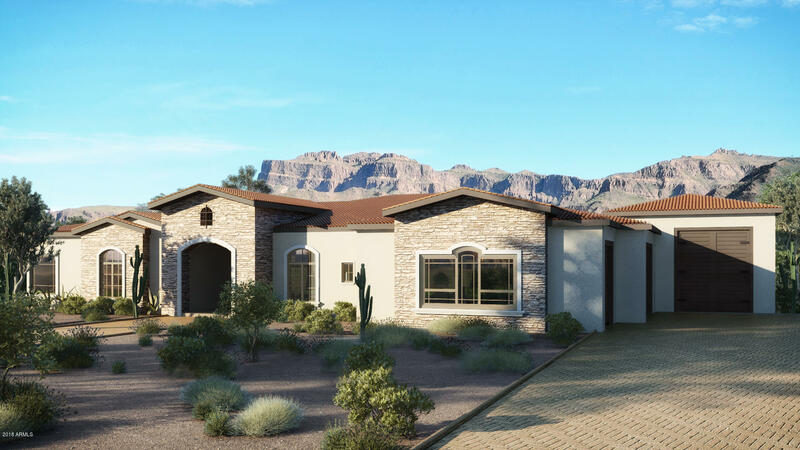 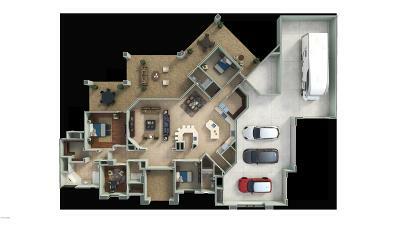 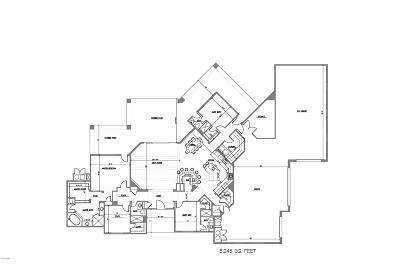 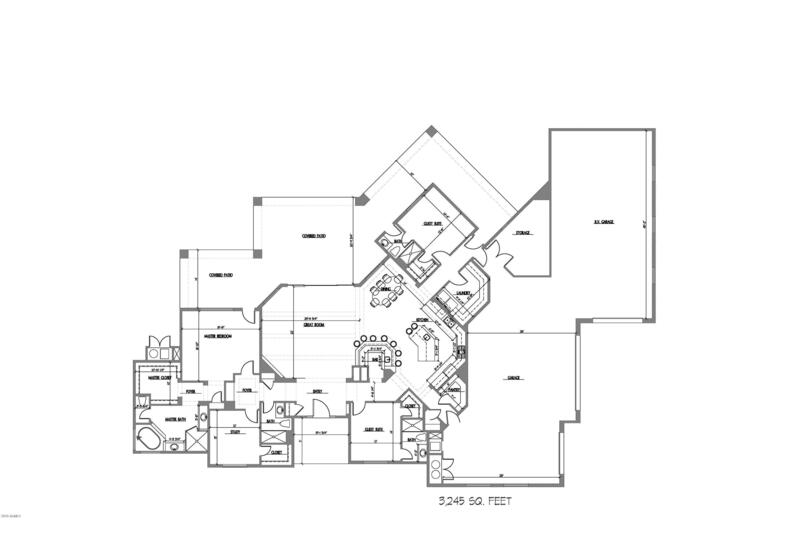 Filled with impeccable details, this 3,245 square foot custom home will offer a huge RV GARAGE, additional 3 car garage, 4 bedrooms (or 3 bedrooms and a separate office), 3.5 bathrooms, stunning gourmet kitchen with high end appliances, custom crafted cabinetry, granite countertops, and more! 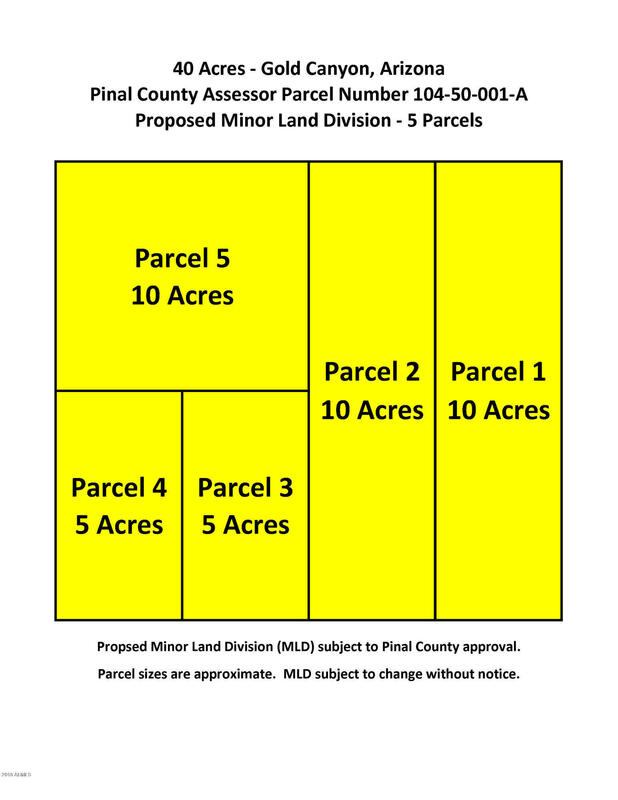 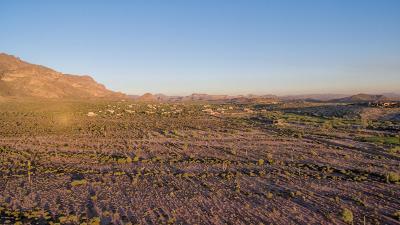 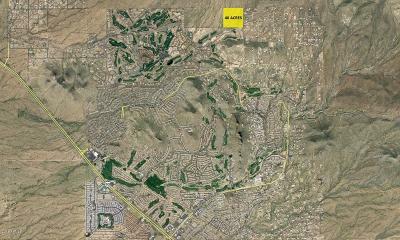 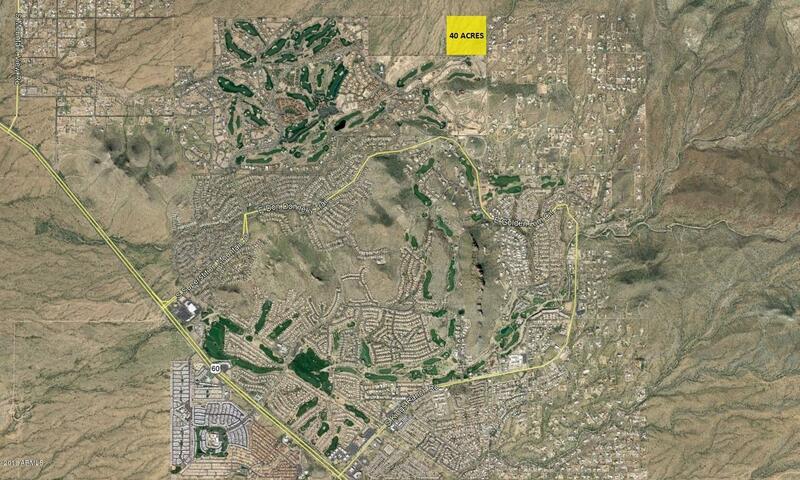 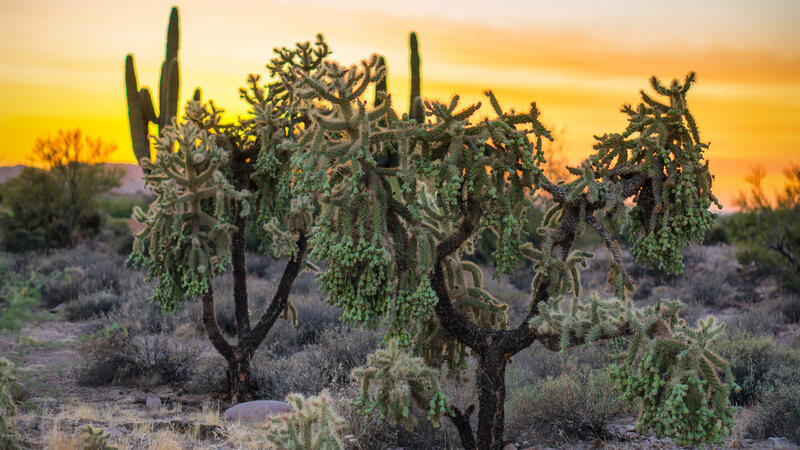 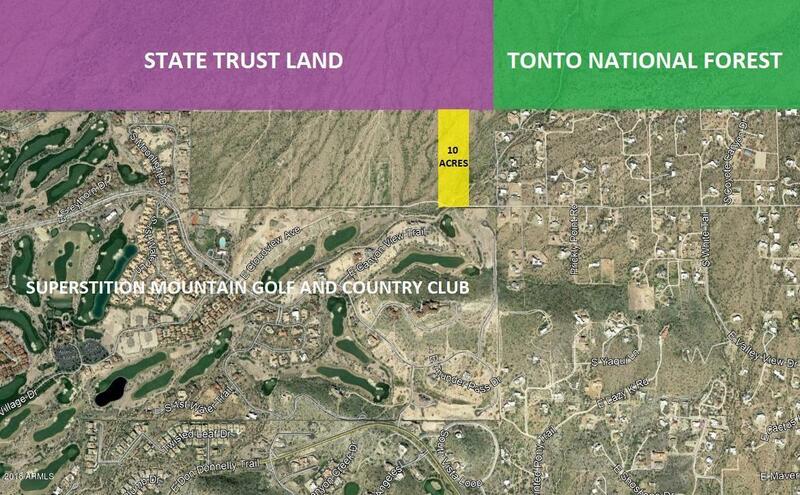 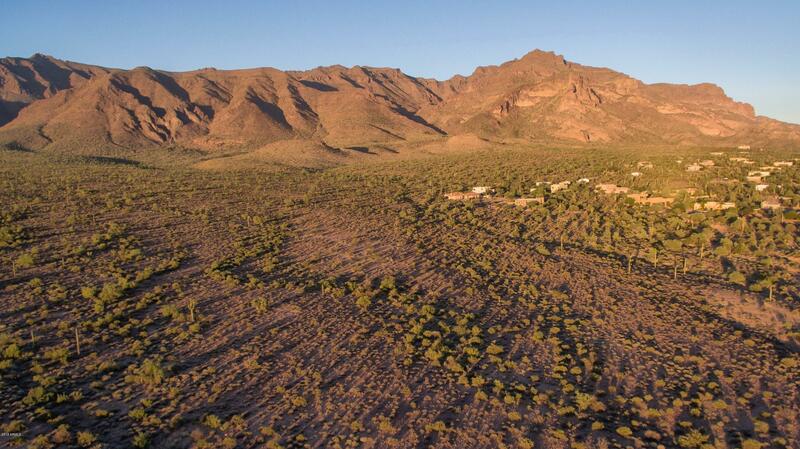 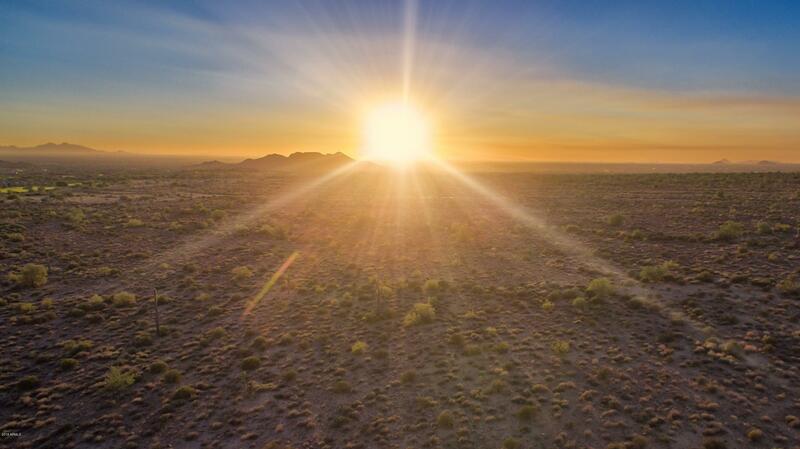 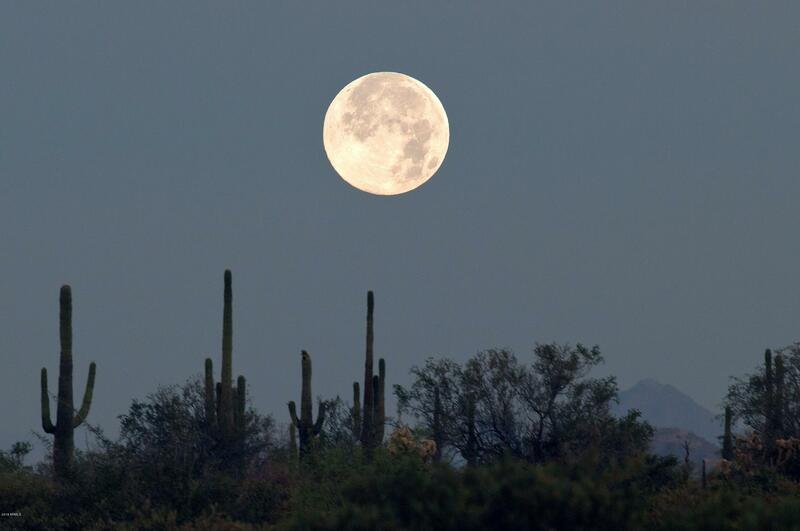 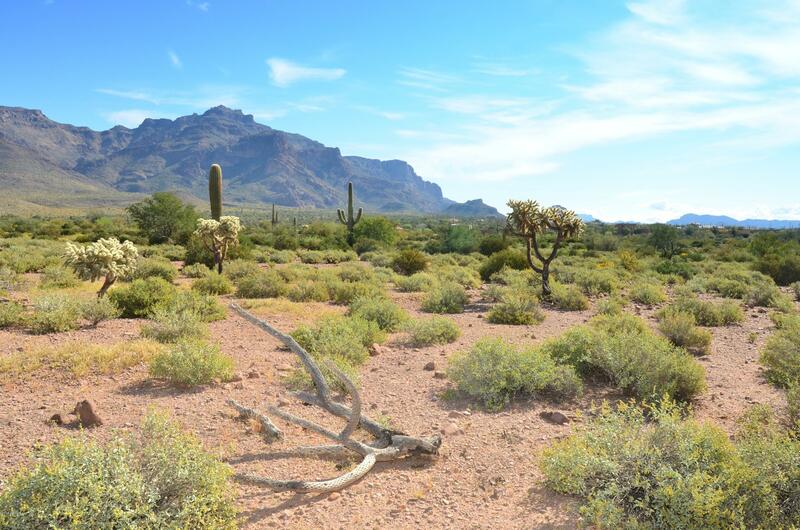 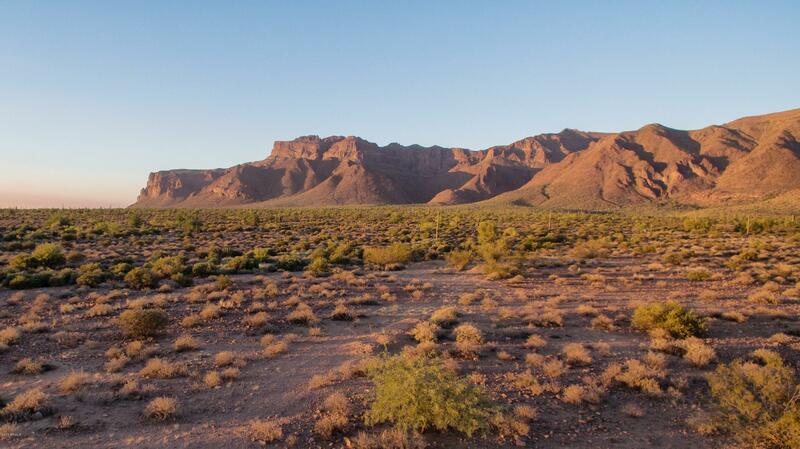 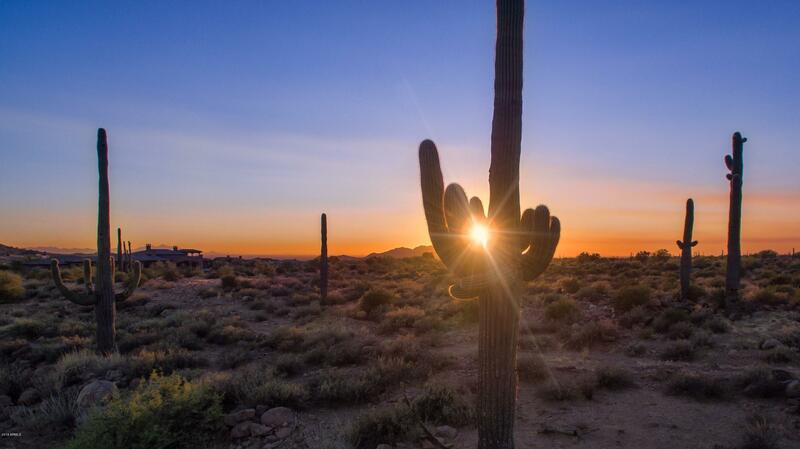 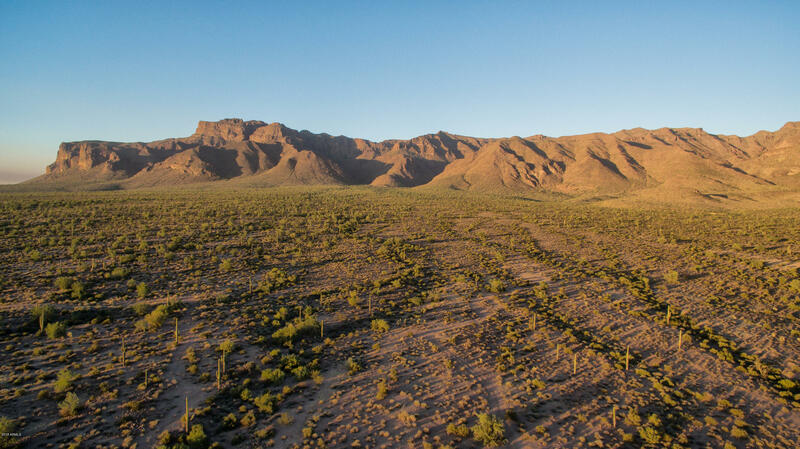 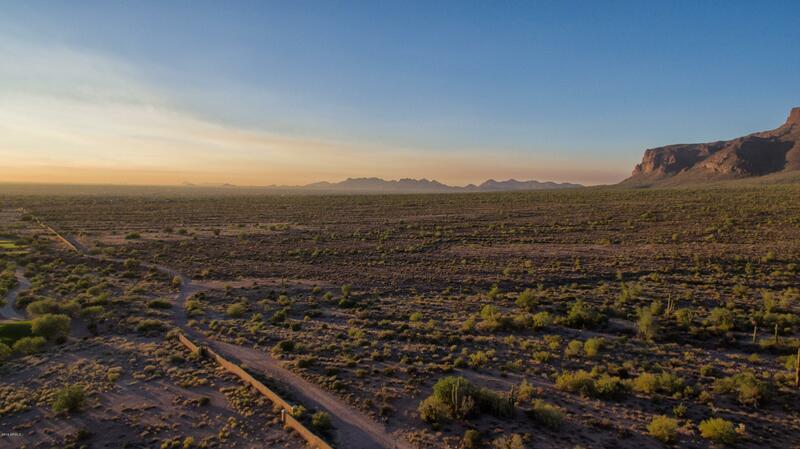 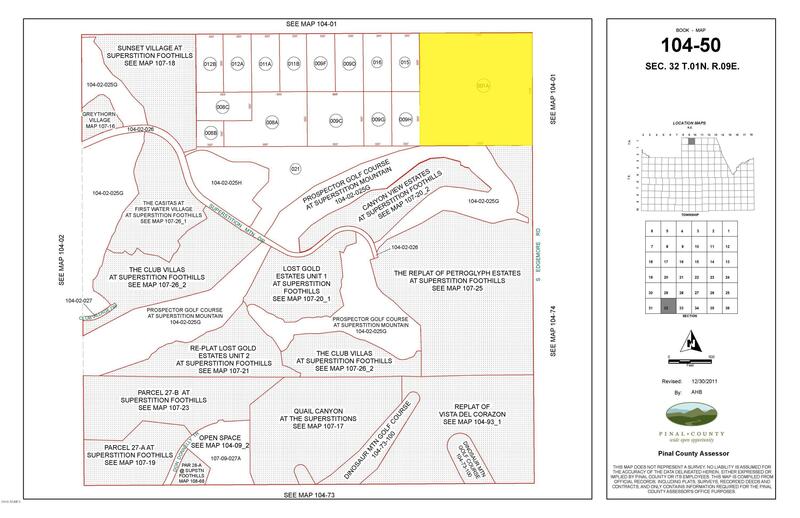 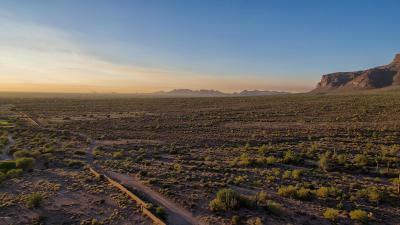 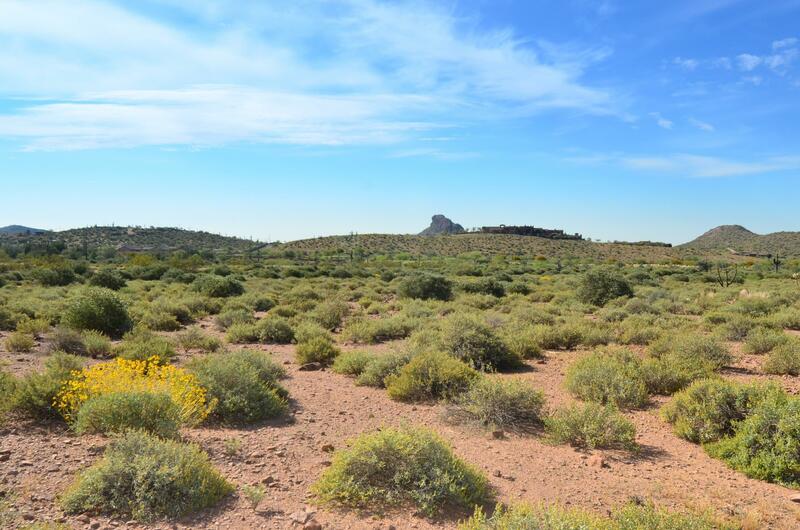 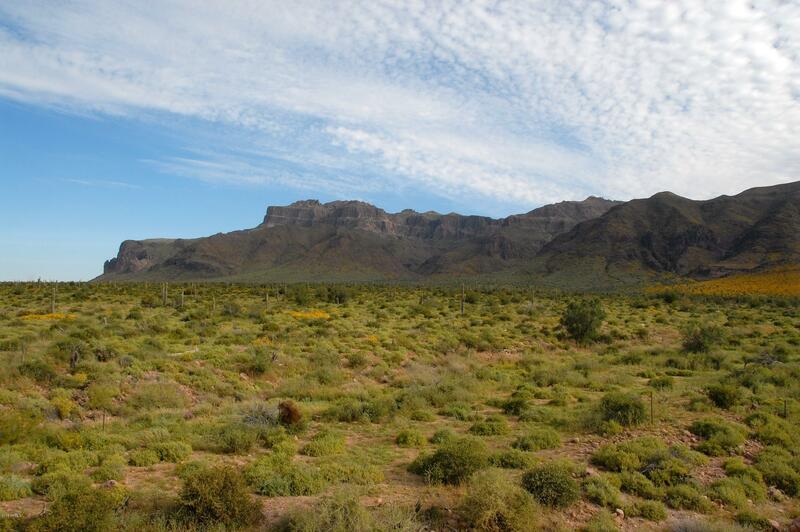 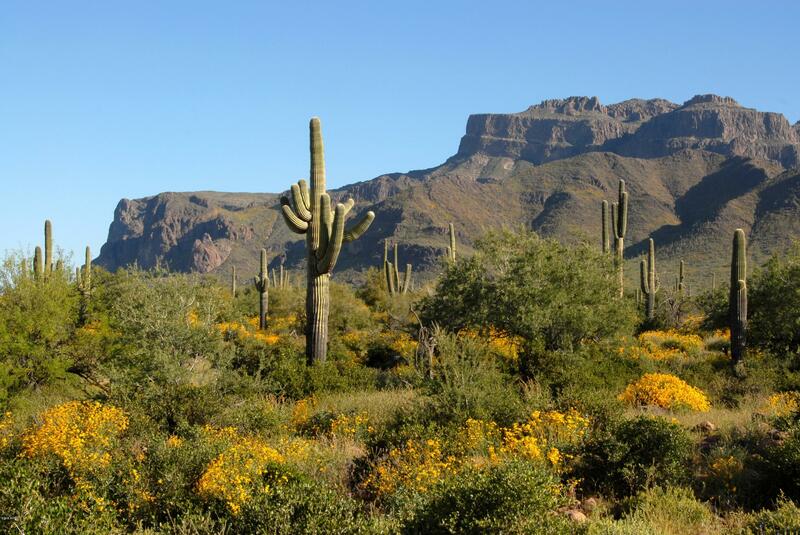 Parcel and project availability subject to Pinal County approval of proposed Minor Land Division (MLD). 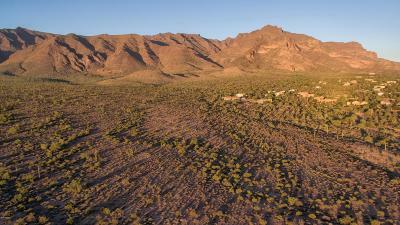 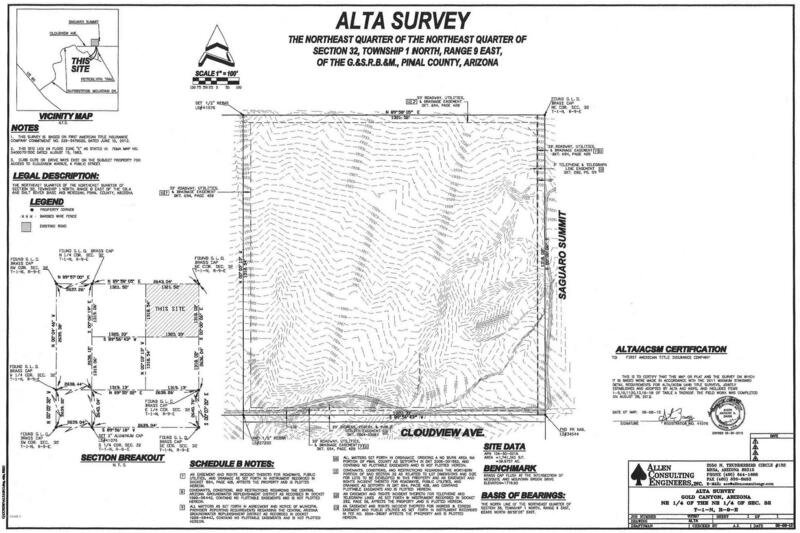 Additional acreage available up to 40 ACRES!